2018 was another prolific year for music. At the forefront of innovation was hip hop, continuing to pioneer sounds and techniques that push creativity forward. 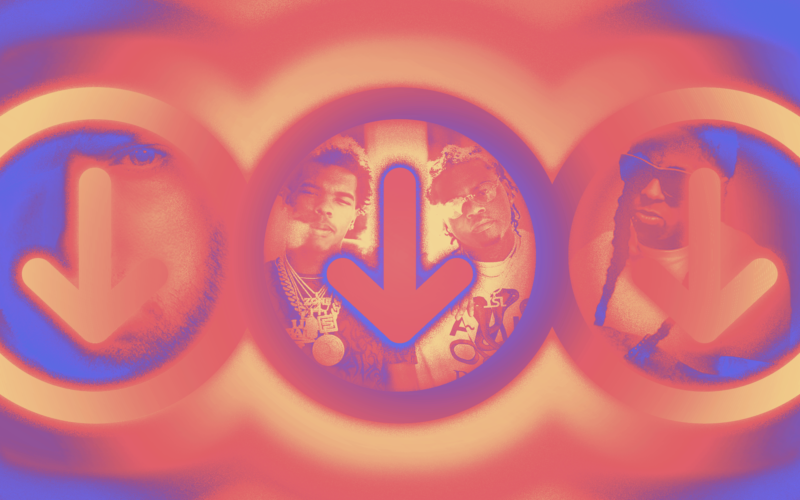 Some of 2018’s most distinctive production trends are reflected in sounds from Splice’s library, which were heard in songs from legacy acts like Eminem and Lil Wayne, all the way to breakout stars such as Gunna and Lil Baby. In this article, let’s break down some of the musical trends we heard in 2018. One of the top downloaded sounds on Splice was this melodic loop from CAPSUN ProAudio. Minor melodies are a staple of trap music, and incorporating real instruments like piano and bells was one of hip hop’s most recurring trends last year. Another example with a similar vibe is DopeBoyzMusic’s piano sample, used in one of 2018’s top diss tracks, “Killshot” by Eminem. Some other top downloaded sounds from Splice were warm and arpeggiated electric guitar melodies, perhaps a nod towards lo-fi hip hop’s increasing popularity. Two popular samples were TrakTrain’s guitar loop and yet another CAPSUN ProAudio loop. Where can we hear guitars from Splice in today’s top hits? Sounds similar to the top sample included J.Views’ sample pack are sampled in “Drip Too Hard” by Gunna and Lil Baby. Loopmaster’s acoustic guitar loop was also heavily used, featured in two big tracks that came out in 2018: “Mess” by Lil Wayne and “Midsummer Madness” by Joji, Rich Brian, Higher Brothers, and AUGUST 08. The most downloaded vocal sound of the year was this pitched vocal loop from Origin Sound. Vocal chops and hazy toplines can be heard in a number of tracks that came out in 2018. One example is Tyga’s “Taste,” which sliced and re-arranged a number of samples taken from Sakima’s “Blue Monday Vocal Sample Pack” to craft the vocal melody. What do you think the top sounds of 2019 will be? Let us know in the comments, and stay tuned for more breakdowns of songs in the charts that use sounds found on Splice.